Preventing moisture from reaching the walls is a primary function of siding and insulation systems. The right siding system can increase energy efficiency in the home along with providing weather proofing. Adding insulation to the right siding for your home can extend the life of both saving you money. Even if unable to replace the siding, upgrading the insulation system can increase the energy efficiency and weather proofing of the home. Depending on where you live in the USA, the R-value for your home is regulated. Your insulation should correspond with the regulated R-value for your area. The R-value coincides with the amount of heat the insulation can hold. Avoid insulation materials that trap moisture as they can lead to structural damage, mildew and mold. Instead look for fire resistant materials that doesn’t hold moisture but allows it to escape on the surface of the exterior. Blanket insulation is most commonly used as the system wraps the exterior of the whole house, available in varying thicknesses. An insulated siding system with boarded insulation matches the siding panels chosen. The solid protection provided attached with proper care might be a good option for your home. 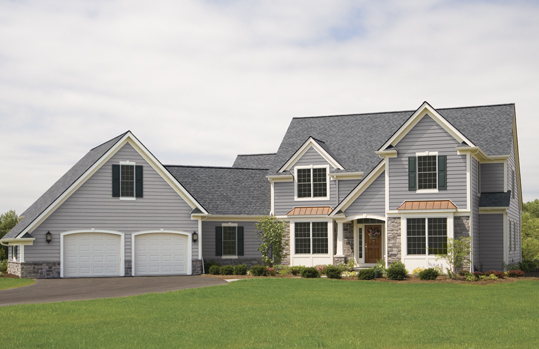 Insulated siding purchased with the thickest siding and insulation available provides the most energy efficiency. The latest in siding technology attaches better to the walls securing the insulation better than previous versions. The siding joints are better at protecting from moisture and winds that can cause structural damage. Proper installation usually by a professional ensures maximum effects of the siding and insulation system to protect both the interior and the exterior of the home.